Is iomaí uair a chloiseann muid daoine atá go dona tinn ag rá go raibh aiféala orthu gur chaith siad an iomarca ama san oifig, nó nár thuig siad gur cheart dóibh sult a bhaint as an saol go dtí gur bhuail ailse nó galar éigin eile iad. 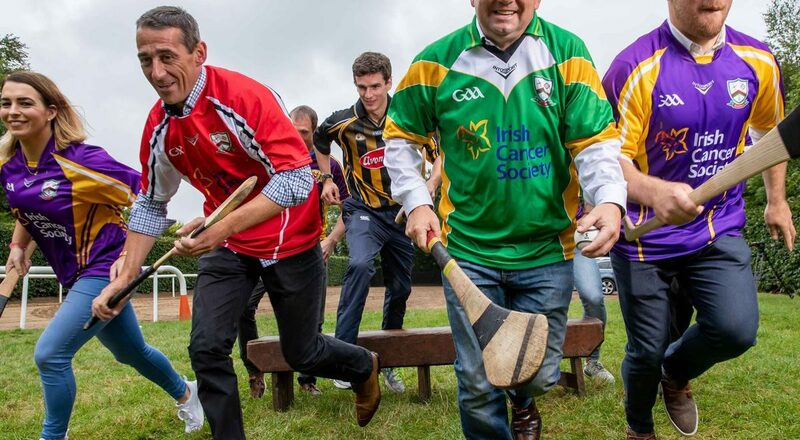 Bhí mé ag an gcluiche mór Hurling For Cancer níos túisce an tseachtain seo. Ócáid é seo atá á eagrú le seacht mbliana anois ag an traenálaí capall Jim Bolger, agus bíonn lámh freisin ag an marcach Davy Russell ann. Dé Máirt seo caite bhí ós cionn 5,000 duine ag an gcluiche, inár thug imreoirí iomána, peile, rugbaí, marcaigh agus go leor eile idir sean agus aosta, faoi chluiche iomána chun airgead a chruinniú don charthanacht. Bhí an-spraoi ann, agus bhuail foireann Davy Russell, a bhí á mbainistiú ag Brian Cody, foireann Jim Bolger a bhí faoi stiúir Davy Fitzgerald. Ach, taobh thiar den spraoi, ní raibh duine ar bith ar an bpáirc, ar an taobhlíne ná sa slua nach raibh tionchar de chineál éigin ag an ailse orthu. I láthair freisin, bhí an marcach Pat Smullen, atá buailte ag ailse agus gan é ach 41 bliain d’aois. Tá coirn, craobhchomórtais agus sparáin go gealach ag Pat Smullen, ach mar a dúirt sé ag an gcluiche iomána sin, ní raibh aon mhaith ann mura raibh a chuid sláinte aige chomh maith. Labhair sé freisin faoin mbealach gur thug an tinneas deis dó stopadh, breathnú ar an saol mór thar timpeall air, agus níos mó ama a chaitheamh lena chlann agus lena mhuintir. Labhair sé faoin díocas nua a bhí aige chun a chinntiú go dtabharfadh sé dóthain ama don saol taobh amuigh de na capaill as seo amach. Tá an ceimiteiripe curtha dó aige, agus beidh obráid mhór le dul air fós. Dúirt sé go raibh an chóir leighis trom air, agus gur iontach an méid misnigh a thug a mhuintir dó, chomh maith le Hurling for Cancer, mar, anseo, bhí lucht spóirt ag seasamh le duine dá gcuid a bhí buailte, chomh maith leis na mílte eile atá go dona ag ailse. Chuir sé an méid a dúirt Gay Byrne cúpla mí ó shin i gcuimhne dom. In agallamh le RTÉ labhair sé faoin ailse, agus an méid aiféala a bhí air gur chaith sé an oiread sin ama taobh istigh de bhallaí RTÉ. Ní fhaca sé mórán dá chuid iníonacha agus iad ina gcailíní beaga, agus ní bhfaighfidh sé an t-am sin ar ais go deo. Is féidir gach rud a cheannacht, seachas am. Cé mhéid againn a bhí ag an gcluiche sin Dé Máirt a bhuail bóthar abhaile ag rá go ndéanfadh muid rud éigin deas lenár muintir nó lenár gcairde, seachas tuilleadh ama a chaitheadh ag obair? Cuirfidh mé geall gur dhúirt muid ar fad é, ach nach bhfuil ach líon an-bheag againn a leanfaidh leis an ngeallúint sin. Brisfimid ár bhfocal féin. Tá ós cionn €700,000 cruinnithe ag Hurling for Cancer go dtí seo, agus cheannódh an méid sin go leor, ach ní cheannóidh sé am. Coinnigh súil ar chlog an tsaoil, mar ní fios cén uair a stopfaidh sé.